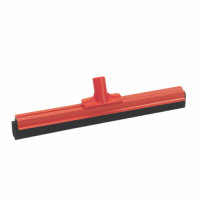 A range of floor squeegees for the removal or movement of fluids on floors. Ideal for "sweeping" water in wet rooms, swimming pools etc to a convenient point or drainage site. Available in hygiene colour coding in blue, green, red and yellow, metal frames, monobloc rubber blades, neoprene foam blades and many other options. 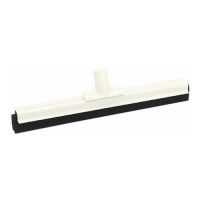 Premium monobloc hygiene squeegee which are certified as food safe and.. Available in 2 sizes and designed for sweeping liquids on smooth & til.. Designed for sweeping liquids on smooth & tiled surfaces. Product Fea..